Are you ready to make tomorrow better? Submit an enquiry and our friendly team will be in touch with you soon to plan your study journey at Curtin Malaysia. Scholarships are part of Curtin Malaysia commitment to rewarding academic excellence, supporting research and enabling students from all backgrounds to realise their potential. Curtin University is ranked in the Top 1% if universities worldwide in the Academic Ranking of the World Universities (ARWU) 2018. Course fees are one third of those in Australia main campus for the same curriculum and certificate. The internationally recognised certificates are awarded directly from the Australia main campus. Study in the 1,200 acres garden campus with students from over 50 nationalities. Engineering courses are accredited by Board of Engineers Malaysia and Engineers Australia. Business courses are accredited by AACSB. You will study the same degree course curriculum with our main campus. The academic calendar are the same with our main campus. Opportunity to transfer to any other campuses around the world to complete your degree – Curtin Perth, Singapore, Dubai or Mauritius. Academics with industry experience from over 15 countries. All aspects of the curriculum and calibre of lecturers are constant between all Curtin campuses. 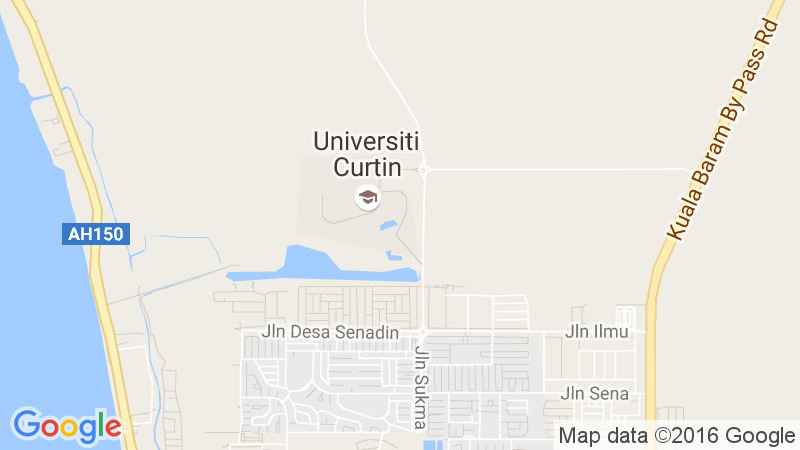 Welcome to Curtin Malaysia, A Global Experience! Come explore Curtin Malaysia, where you can receive a world-class Australian education in the fields of Engineering, Science, Commerce and the Arts. Located in Miri, Sarawak, you have access to world-class facilities or your classroom might be the stunning natural beauty of Borneo!